Sosban Riders are a newly formed cycling club in Llanelli with a special focus on developing junior cyclists, We have a link on our website for anyone wishing to find out more on their activities. 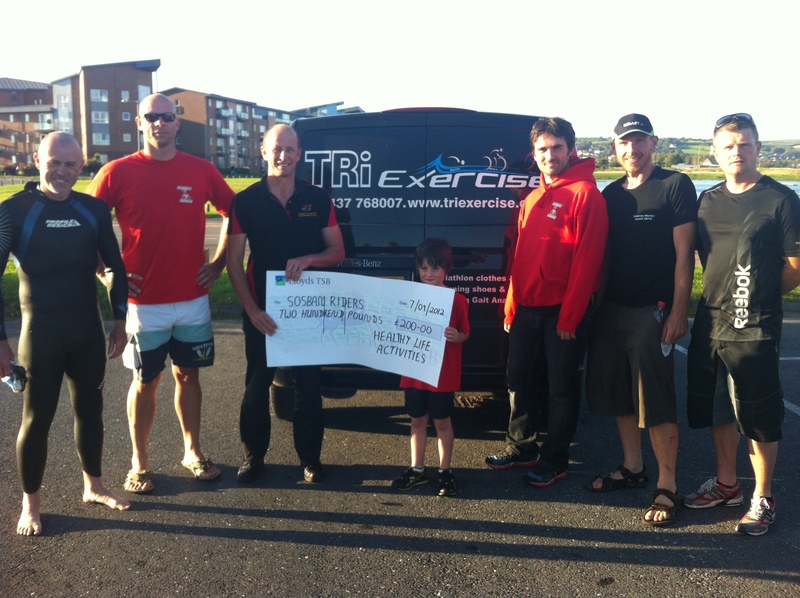 They enetered a number of Relay Teams into the Llanelli Standard Distance Triathlon in September and won the event and the £100 prize. Healthy Life Activities presented them with a cheque of £200 to assist with their junior development programme. Members of the Relay Team also kindly donated their £100 winnings.